My girl, Maddie, is getting up there in years. In fact, she’s been in my life longer than my husband and children. With age comes a funky smell and sensitive skin. I have finally perfected making a natural shampoo for her and I wanted to share it with you. Grind your oatmeal to the consistency of coffee grounds until you have 1 cup. I used my old coffee grinder to grind mine. Mix the oatmeal and baking soda and then use a funnel to pour it into a bottle (I used a glass milk bottle from our local farm). Add the essential oils, coconut oil and Dr. Bronners and sort of swish them so they mix together a bit. Add the warm water and gently tilt the closed container back and forth until the ingredients are mixed. Don’t shake or you will have bubbles all over the place. 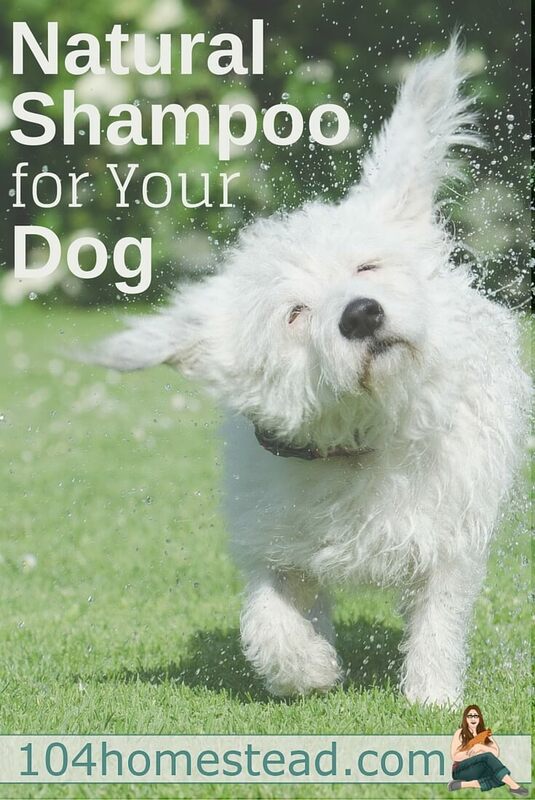 To use, massage into your dog’s skin for a few minutes and then rinse thoroughly. The Dr. Bronners will clean the fur, the coconut oil rehydrates the skin, the baking soda eliminates funky odors and the essential oils add a pleasant scent and repels fleas. It’s everything you need in one bottle. 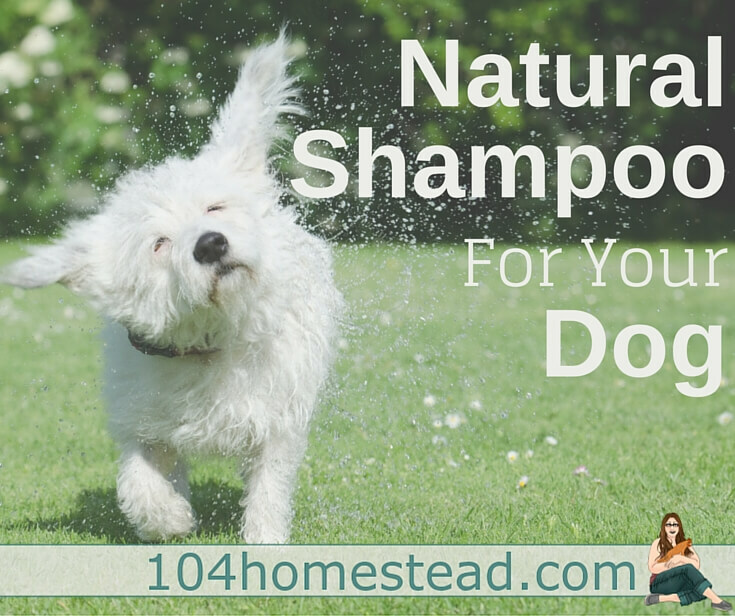 Store your natural dog shampoo in the fridge and bring to room temperature before bath time. Swishing to reincorporate the ingredients. NOTE This is not thick like a traditional shampoo. It is a thinner “rinse” style shampoo. Also, use caution when using on dogs with long hair. If you have trouble rinsing out the oatmeal, wait for your pup to dry and then brush out any excess oatmeal. just made this , i liked the health benefits to the ingredients just didn’t like the results of them together.not enough suds to work out the dirt from my dogs hair and felt like the oatmeal was just a mess to get out of their hair.think i’ll try another recipe?? 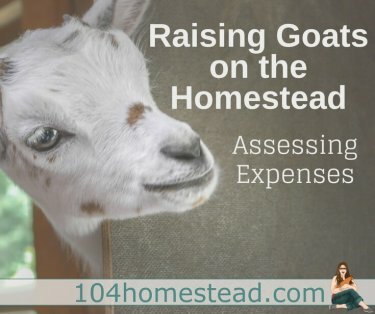 Can this be used on cats as well? You can so long as you exclude the essential oils. Cats are very sensitive to essential oils. Kudos to you for being brave enough to shampoo your cat. I’m pretty sure mine would eat me alive lol. Thank you for this recipe! I have two dogs that are sensitive. One is a saint Bernard and the other is a rat terrier/Chihuahua mix. 1 more question, can I use PALMAROSA essential oil instead of Lavender ? For it’s good for Flea & Tick treatment too. I can be used several times (depending on the size and dirtiness of your dog). I keep mine in the fridge and it lasts quite a while. Just pull it an hour or two before bath time so it can get back to room temperature. If you forget, you can run the container under the bath water to warm it back up. Do you have to use the oatmeal? You don’t HAVE to, but it helps alleviate skin irritation and dryness. I followed the directions, and it is fairly runny after just 2 cups of water. I’m letting it sit for a few minutes before I decide to add any of the other 2 cups . . . I thought I ground the oatmeal to be like coffee, but I think not! Lol! I used it on my Pomeranian, and I think I’ll be picking oatmeal chunks out of her hair for a while. Next batch, will leave in the grinder a bit longer! Ok, I just had another thought . . . is it one cup of oatmeal before grinding (which is what I did), or is it one cup of ground/powdered oatmeal? THAT would explain a lot if that is the case. After grinding. I’m sorry that wasn’t clear. I will update the post to better explain that. Yes, it’s a thin mixture, but your observation may explain why people were finding it SO thin. If I get the dr. Bronners peppermint soap will I still need to use an essential oil of my choosing? Thx! I suggest you do. I checked out the ingredients list for Dr. Bronner’s Peppermint Soap. It contains extracts from two types of mint (funny that neither is actually peppermint), but I’m not sure if they are concentrated enough to work at repelling fleas. Maybe consider cutting back the amount of essential oil you apply and see how it goes. Does it have to be stored in the fridge? I don’t store my oils, coconut oil, my oatmeal or my baking soda in the fridge? LOL so does it actually HAVE to be stored in the fridge? Can I leave it in dark bathroom cupboard? I would highly suggest it. Once water is added to the oatmeal, it can get funky quickly. How long will the shampoo last when stored in the fridge? In the fridge, it will last at least three months and maybe as long as six months. awesome! Thanks! Going to give it a shot! I wonder if you tell me what dr Bonners is? Do u think this shampoo would help hot spots and other skin conditions? Dr. Bronners is a castile (vegetable-based) soap that doesn’t contain any harsh chemicals or ingredients. You can buy it on Amazon (here) and some Walmarts may carry it in the cleaning department. Health food store carry Dr. Bronners too. Many discount it a bit if they carry it in bulk tanks and you bring your own container. It coms in unscented, lemon, lavender and I think, a few other scents. Good stuff! Is it supposed to come out so watery? It is thin, but it shouldn’t be watery. Did you grind the oatmeal so it was similar to a flour consistency?